Elegant present for your sweetheart on Valentine's day! 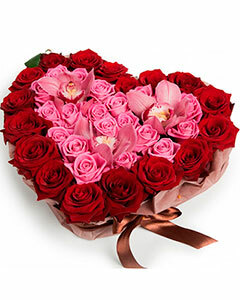 The unusual arrangement of roses - guaranteed to amaze your recipient and certainly not leave you indifferent! Composition: 3 orchids, 35 red and pink roses, floral material.